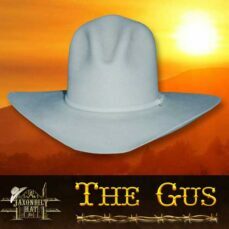 Overall this little custom made western hat is and always has been an established leader. 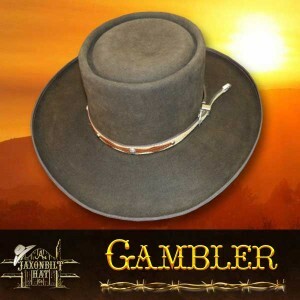 The Gambler style is one that is immediately recognized. Overall this little custom made western hat is and always has been an established leader. The Gambler style is one that is immediately recognized. The crown may be a bit taller or a bit shorter, but will always have its distinctive dished out crown with the raised center “bubble”. 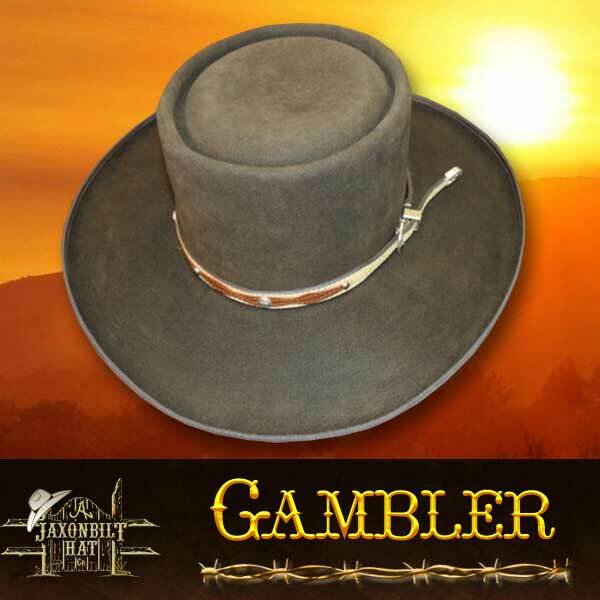 The GAMBLER Custom Western Hat brim may be penciled or flat out but, it is generally always on the short side. Of course, you can choose to have us build yours to your specifications. Give us a call today, order yours in the color and felt quality of your choice. 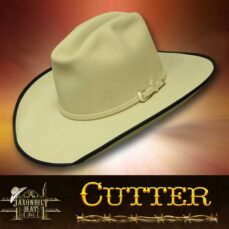 At Jaxonbilts all our Custom Western Hats are custom made from start to finish by masterhatters Roy Jackson and Bernice McNeven. Prices vary depending on your choice of fur quality, hat embellishments and styling options. We ensure a perfect fit when you order and return our FREE hat conformer kit. Custom Western hat designs are our passion, just browse through our western hat collections and fur felt color options for inspiration. Then give us a call we are happy to combine hat features such as brim, crown,and hat trim or even use your ideas to create the perfect Western hat to fit your style!